Earlier this month, the Massachusetts public health commissioner announced an initiative aimed at substantially boosting oversight of nursing facilities across the state. The initiative would establish a specialized unit designed to make surprise inspections and impose financial sanctions on facilities found to have serious problems. Further, the plan calls for greater scrutiny and investigation of entities and individuals attempting to secure nursing home facilities licenses in Massachusetts. Facilities found to have serious violations will be subjected to fines starting in March, though advocates have called for changes to state law which would raise the currently-allowable sanction of $50 per day to an amount likely to have more of an impact. Massachusetts health commissioner Dr. Monica Bharel also stated that her agency is currently wading through a mountain of accumulated consumer complaints regarding specific nursing homes, and that as a result she plans to hire additional staff to address the concerns. A new online system will be put into place where consumers will be able to submit detailed descriptions of problems in nursing homes and which will also serve as a research hub for patients and families to learn more about facilities located in the state. It is estimated that approximately 40,000 individuals currently reside in more than 400 nursing homes located in Massachusetts. Patient and elder care advocates have long argued that the state health department has failed in its duty to aggressively investigate troubled facilities, halt admissions to questionable homes or take action against licenses held by controversial operators. Dr. Bharel has indicated that the newly-created oversight group will demand more comprehensive information from entities seeking to purchase Massachusetts nursing homes, including details about affiliated companies sometimes utilized to shield firms from liability. 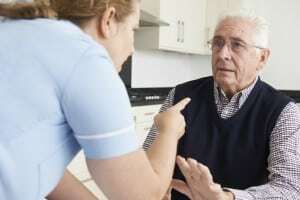 The National Center on Elder Abuse has estimated that nearly 50% of America’s nursing facilities have insufficient staff to fully attend to patient needs. Thus, neglect and abuse events regularly occur without being appropriately addressed. Exacerbating the problem is the fact that just 1 in 5 incidents of this type are likely to be reported by victims. Therefore, it is incumbent upon families, fellow residents, caregivers and state regulatory agencies to stay vigilant when it comes to protecting vulnerable seniors from unscrupulous nursing home owners, management and staff. If you or a loved one have been subjected to physical, financial, sexual or emotional abuse within the confines of a nursing home facility in Maine, or have experienced harm as the result of caregiver neglect, the injury attorneys of Hardy, Wolf & Downing are prepared to seek justice on your behalf. To schedule a no-cost evaluation of your case and to learn more about available legal options, contact us at 1-800-INJURED.